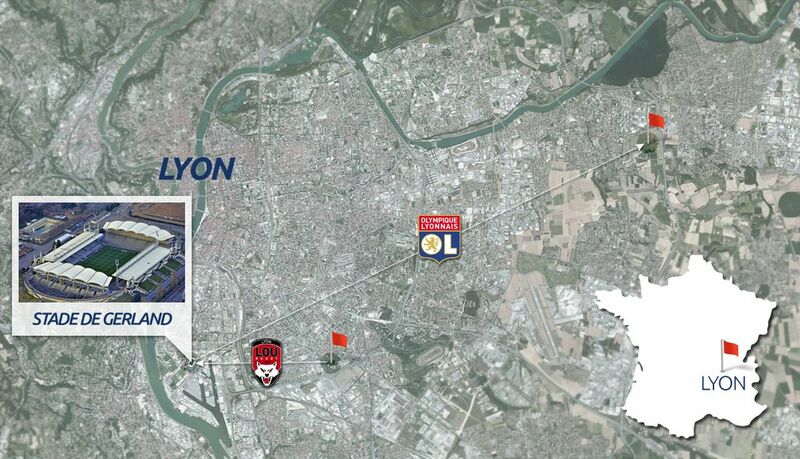 While Ligue 1 powerhouse OL have relocated to their new stadium, old Stade de Gerland will undergo major changes. First one: new name, it’s now officially Matmut Stadium. Ever since Olympique Lyonnais have moved to Parc OL in January, their nearly-100-year Stade de Gerland remains underused. This is now changing, however, as it begins changing from football-specific to rugby-specific. First stage of the transformation is its new name. Since Sunday the venue is called Matmut Stadium, just like the former ground of rugby side LOU. 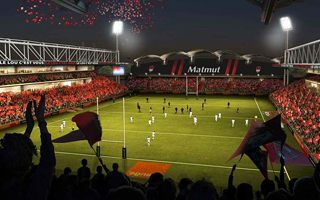 Lyon Olympique Universitaire are the latest addition to French highest league, Top 14, and have plans of further growth that include relocation to Gerland. Pardon, Matmut Stadium. The naming rights deal with club’s long-standing sponsor will last until 2026 and result in additional €2 million annually for the rugby team. It will come handy because it’s LOU’s main shareholder who is expected to pay for bulk of planned reconstruction works. As for the end zones, their upper tiers will be sealed off and only lower sections open to the public. As a result of all these measures capacity will fall from 43,000 to 25,000. In case it seems like a waste, try and look at the revamp from LOU’s perspective. They’re relocating from their current 11,000-capacity Matmut Stadium to their future 25,000-capacity Matmut Stadium. Doubling the matchday crowd is a major leap and filling the current stands would simply be impossible. First changes that we’re going to see will take place outside Stade de Gerland / Matmut Stadium. A VIP village will be erected in January 2017. As the rugby season ends in May, reconfiguration of the side stands is planned and should last only 4 months! These works, constituting the first phase, are expected to cost €35 million. In the long run it’s expected that up to €60 million ($66m) might be pumped into the project.